GOOFY: Why, I'd be happy to come along. Let's go, let's go, let's go! BOTH: Let's go and meet the amazing Wizard of Dizz! Let's hope he's the amazing wizard that everyone says he is. MINNIE: Oh, my. This is a very colorful place. GOOFY: Yeah. And it's full of colors, too. What was that sound? MINNIE: I'm not sure. But I think it's coming from over there. Oh, look at that. GOOFY: Gosh. It's a tin mouse. 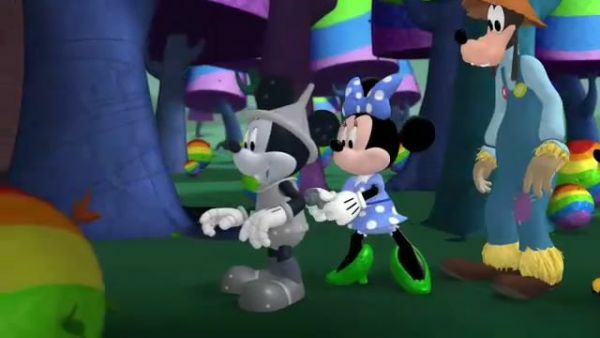 MINNIE: Did you just try to talk? Look, here's a key. Maybe he'll move if we use the key to wind him up, just like a toy. MICKEY MOUSE: Hot dog. Thank you. Gosh, I might have been here forever if you hadn't come along. 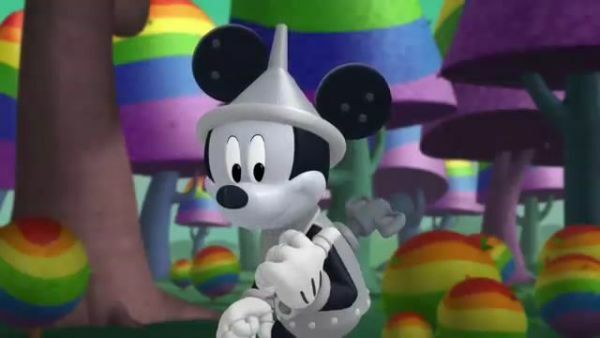 I'm Mickey the Tin Mouse. Who are you? MINNIE: I'm Minnie. 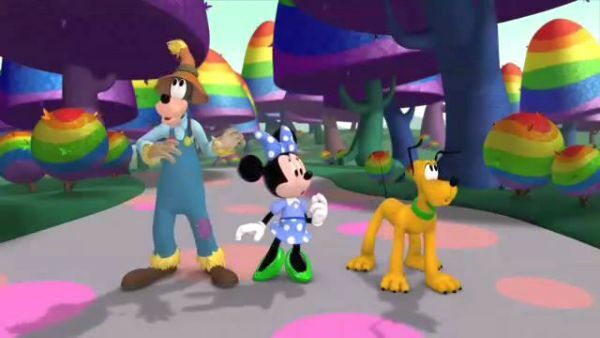 And these are my friends, Pluto and Scarecrow Goofy. We're on our way to the City of Handy Helpers to meet the Wizard of Dizz. I'm hoping he can help me get back to the Clubhouse. GOOFY: And I'm looking for a brain. MICKEY MOUSE: Gee, I could use something to keep me going. Then I wouldn't worry about winding down all the time. GOOFY: Hmm. Interesting. What keeps you going, Minnie? 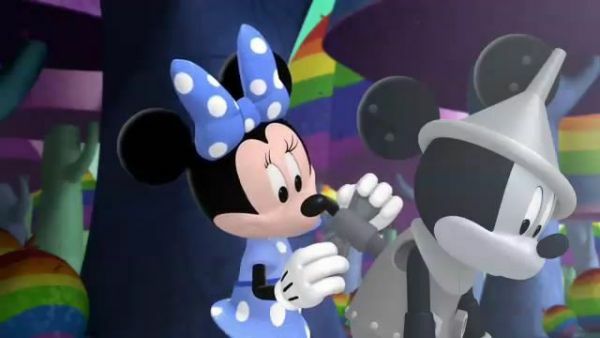 MINNIE: Well, I have a heart. That keeps me going all day long. 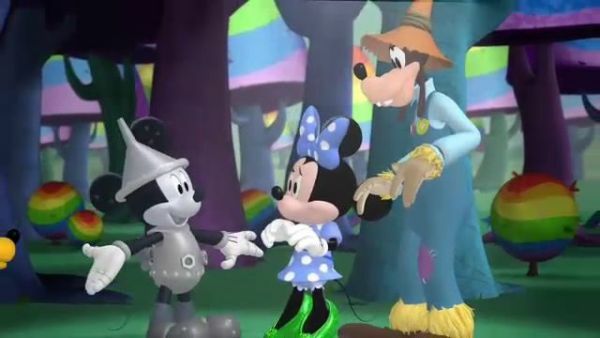 MICKEY MOUSE: Oh, wow. Maybe I could get one of those. MICKEY MOUSE [singing]: If I didn't need a key I'm sure I'd run a race and win.